Thomas Rassas is a Clarksville native. He received his Bachelors of Business Administration in Business Management from the University of Memphis. Thomas joined Pilkerton Realtors® in 2013 and knew that real estate was his calling after working several years in insurance and finance. 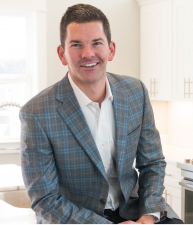 He is a 3 time Silver Award Recipient (2015, 2016, 2017) for Greater Nashville REALTORS®. In his free time, he enjoys fitness classes, running, time with family and friends, Ft. Lauderdale, cars, traveling to visit his siblings, church and a good meal out on the town.